First published nearly forty years ago, this book broke new ground, offering an unprecedented glimpse of life inside the womb. This fourth edition uses a new high-definition ultrasound technique, scanning electron and light microscopes, and advanced fibre optics to make an unparalleled record of the unseen world within our bodies. 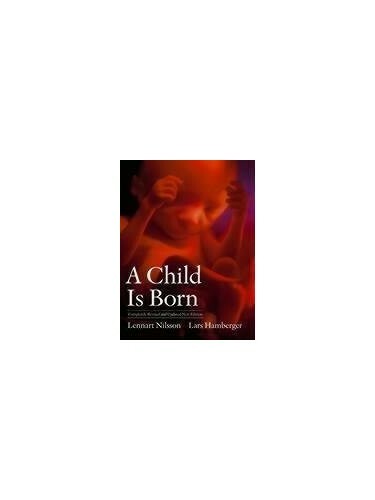 First published in 1965, "A Child Is Born" offered an unprecedented glimpse of life inside the womb. This fourth edition brings improved photographic technology and a revised text to this awe-inspiring journey from fertilization to birth. Lennart Nilsson uses a new high-definition ultrasound technique, scanning electron and light microscopes, and advanced fibre optics to make an unparalleled record of the unseen world within our bodies. Here, in a series of close-up images, the miracle of human reproduction unfolds: the egg travelling down the fallopian tube; the sperm racing to meet it; the moment of fertilization; the very first cell division; the tiny embryo attaching to the uterine wall; the growth of eyes, ears, fingers and toes; and finally the moment of delivery itself - give an astonishing glimpse of the first moments of life. The updated text also features authoritative advice for new parents, plus information on recent advances in fertility treatments, state-of-the-art testing, genetics, environmental factors and pregnancy health.